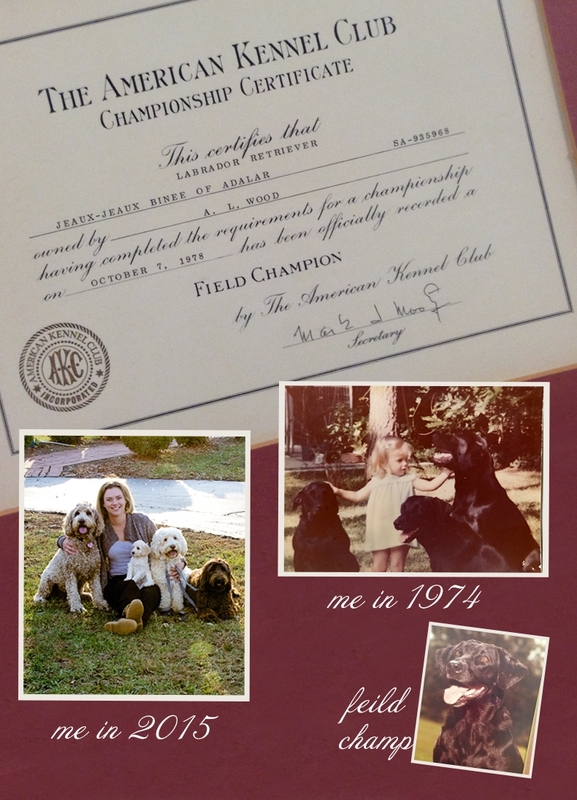 Not much has changed since 1974, just the breed and little bit of aging on my part! As you can see from the picture on the right, I have always been "part of the pack." The picture was taken in my grandparents backyard with their blacks labs. My grandparents raised and trained champion black labs. I spent a lot of time with my grandparents because both my parents were working. One could say that I learned training through osmosis, and it is second nature to me. I spent long days training in the field with my grandparents. They would often find me curled in a dog crate asleep when I had enough. I also throughly enjoyed helping my grandmother breed. We had several litters in the home, and I remember them very fondly. I would sit in dog bowls and read to the puppies, play dress up, chase, and tug a war. The days just seemed so magical with puppies around. My entire childhood and young adult life was spent surrounded by black labs. As one would imagine, I considered being a small animal vet when I went to collage. So I was a kennel girl and vet tech through most of my college years gaining required experience. But then marriage and children happened, and my dreams of becoming a vet quickly faded and my focus changed to family and photography. I greatly missed my dog world, and after much research, I decided to start breeding multi generation Australian Labradoodles in 2008.